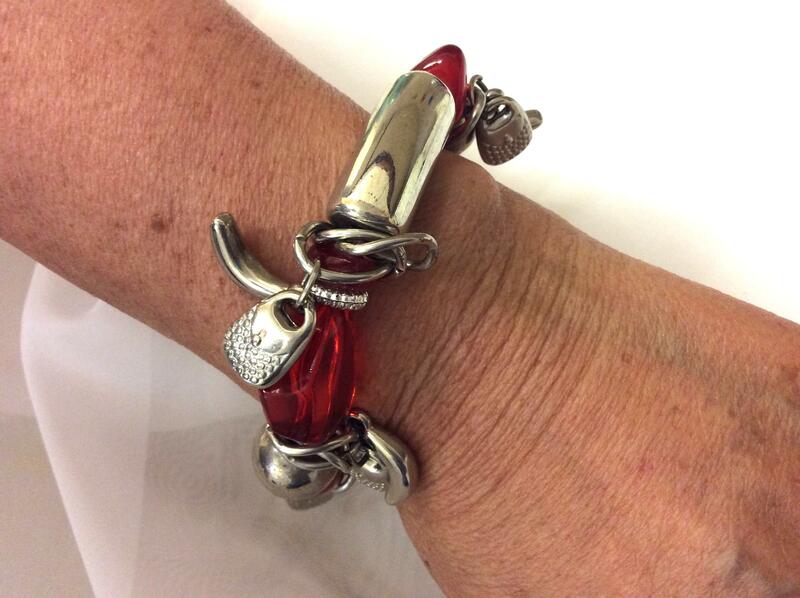 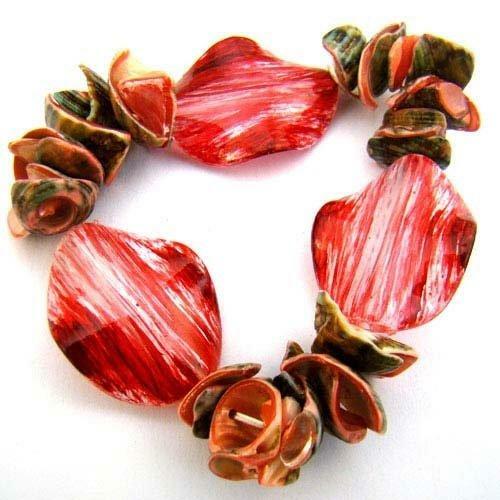 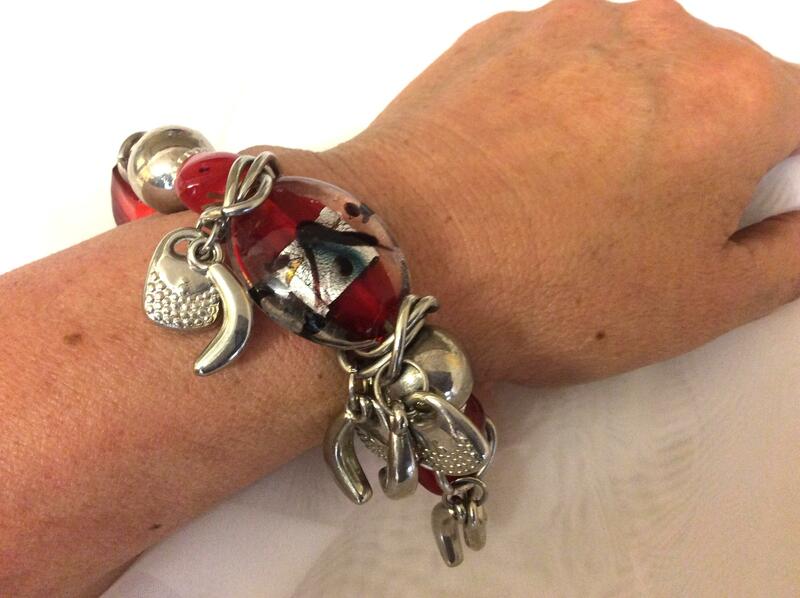 A beautiful Red Acrylic and Silver Charmed Bracelet. 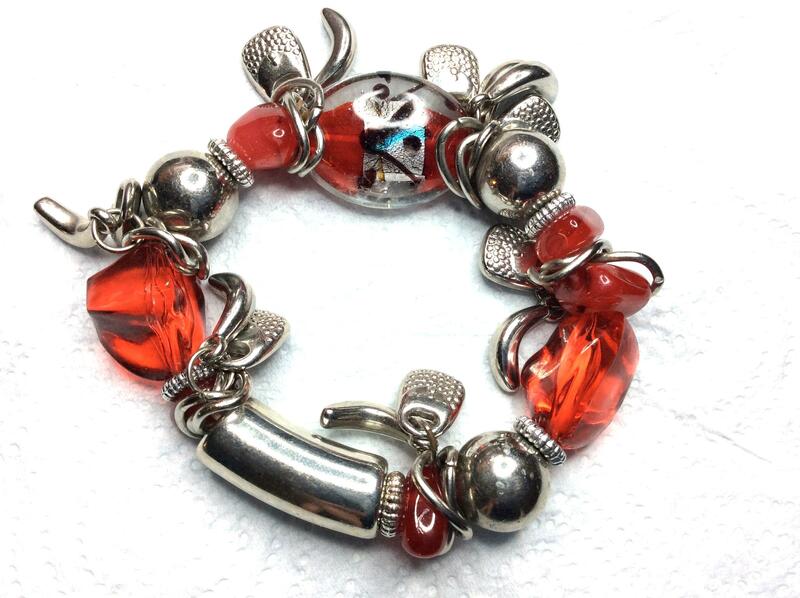 This Lovely Bracelet has a mix of Red beads and glass enhanced with various silver charms. 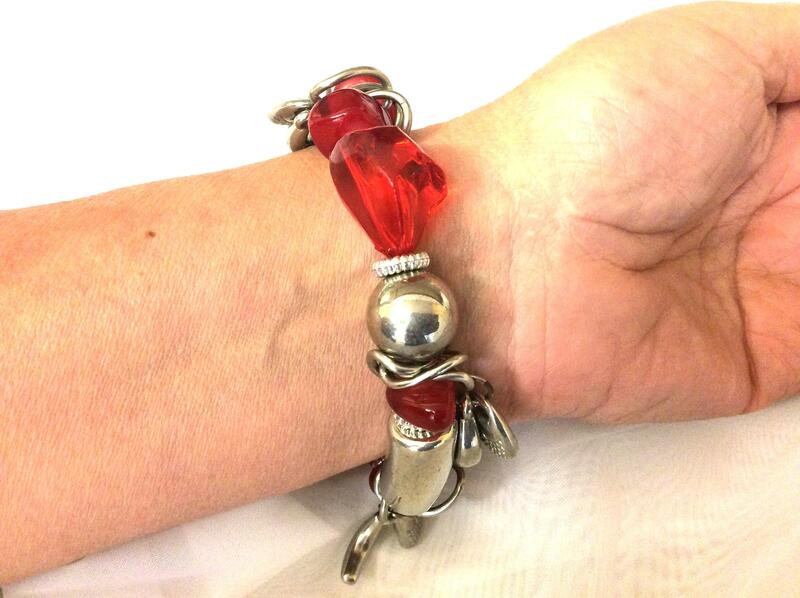 The Beads are spaced with 3 silver balls and red wavy Acrylic Beads on the Elasticated Bracelet.